This was taken while walking across the south side of Manhattan Bridge during sunset. 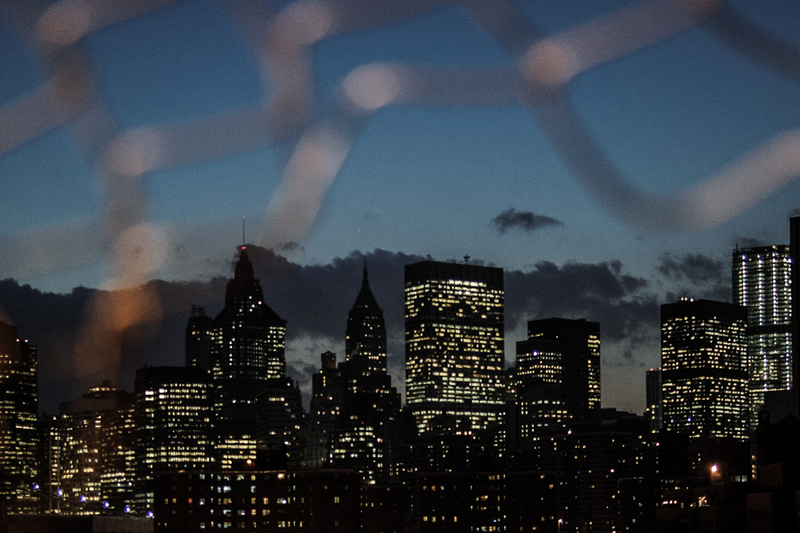 The city skyline was a clear choice for photographing but was behind a chain link fence. I came across a part of the fence that someone had pulled to the side and decided that it added a nice level of depth when placed in the foreground.